Let's keep up the International flavor, shall we? Let's skip all the way across the ocean from Mexico to land in Italy with some yummy chicken, shall we? We've found this especially delicious served over some pasta with a salad on the side. How are you enjoying this new segment? Don't hesitate to leave comments or to share the posts with your friends and family! Also, if you haven't noticed yet, there is a recipe link now at the top of the page which will take you to a listing of all of the recipes posted! 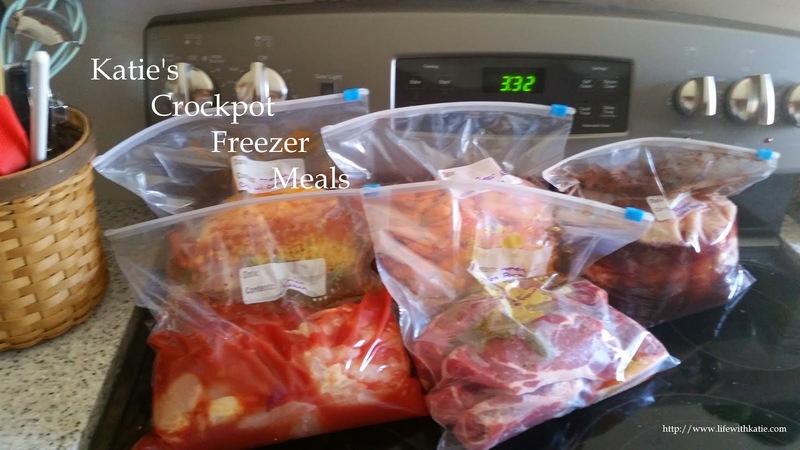 Add all ingredients to a gallon sized freezer bag. Squeeze out as much excess air as possible. Freeze. Cooking instructions: Thaw in refrigerator. 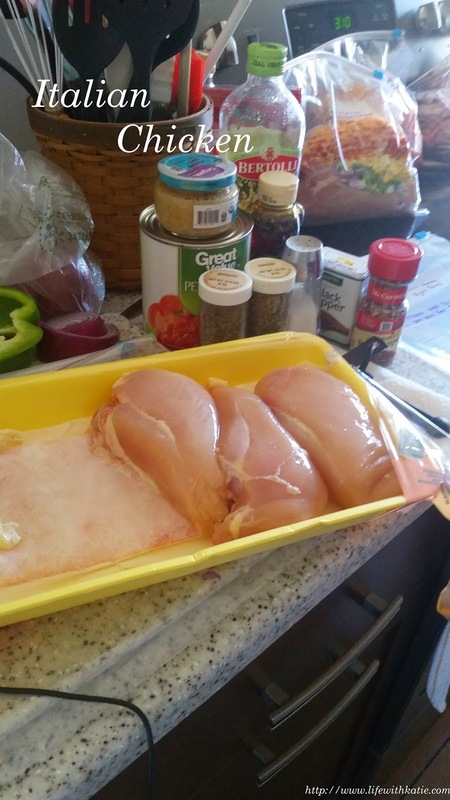 Place ingredients in the crockpot and add 1/2 cup of water. Cook on low for 8 hours.